As the snow begins to melt, we are discovering the plant life around our home for the first time. The thing is, we moved in our house in December, shoveling a foot of snow to pull up the uhaul. The rediscovery of native plants in the area begins with an overview of the dead leaves on the ground... we've got plenty of yarrow, mugwort, and goldenrod present to keep our herb cabinets stocked, but what I can't help but wonder is, what dye plants will show up? I've got some indigo seeds (thanks to Lily from Gamma Folk! ), coreopsis, cosmos, and marigolds to play with, but what is really beautiful is the offerings that come up as spring bursts forth from the land. 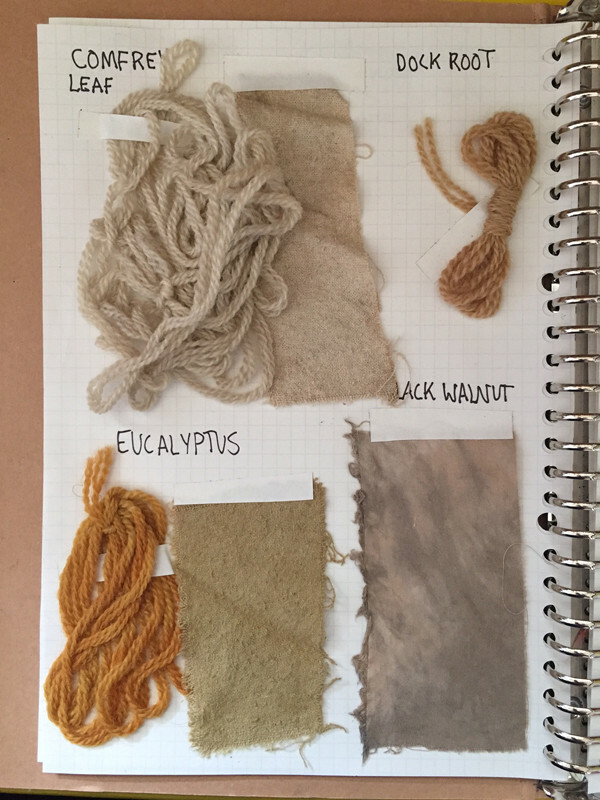 During last years "Natural Dyeing with Local Plants" course with the Dogwood Dyer, she taught the use of Burdock root, Staghorn Sumac, and native ferns for dyes, just so happens burdock root is also excellent for nourishing and cleansing the liver. It's finding out about dual duty plants like these that so magically bring together a few of my favorite things - herbal tea and fibers - that confirms I'm on the right path. 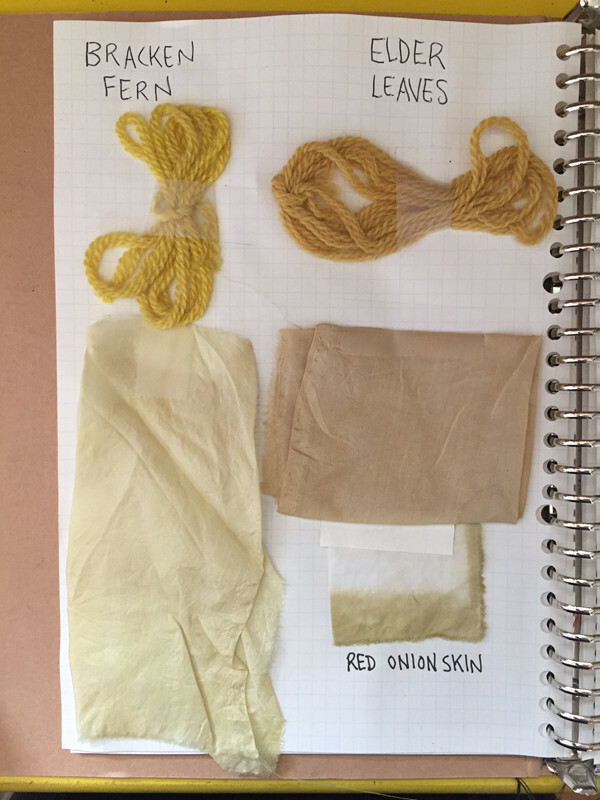 As always, mordant is required to get the most vibrant colors in natural dyes. 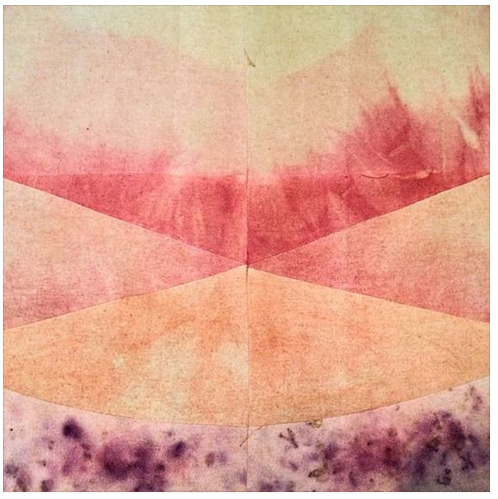 You can read about this in one of the many publications on natural dyes, especially Kristine Vejar's "The Modern Natural Dyer" which combines educational instructions and beautiful photography. The following plants are just a few of my favorites to play with. Burdock root gives a warm tan, while this is not a color difficult to reach with natural materials, I feel the warm golden hue it gives is especially admirable. Comfrey leaves are a great plant to use topically for wounds, so it's use as a dye for fabric seems appropriately healing. Eucalyptus is great not only for respiratory health, steam baths, and clearing colds, it also gives a range of warm oranges and reds depending on the species. While they do not grow well here in the Northeast, if I see them in a floral arrangement I always save them for dyeing. 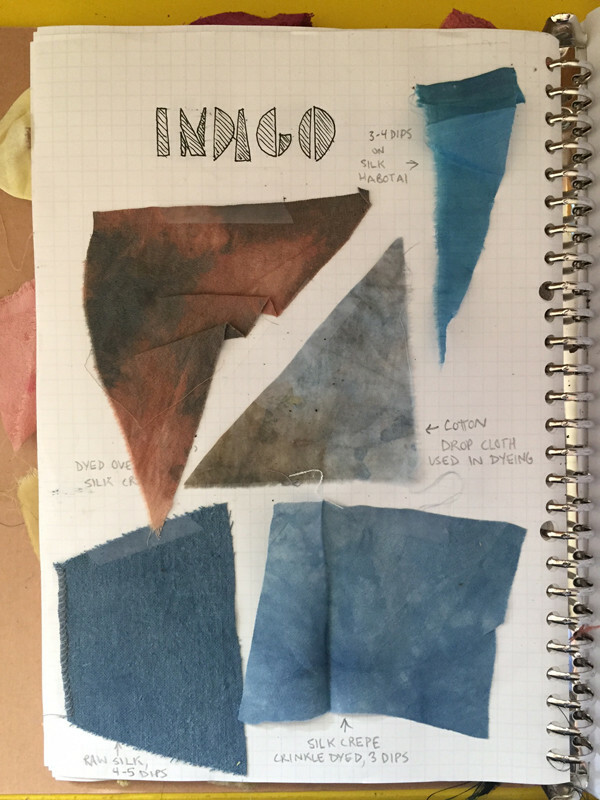 while indigo deserves a blog posts (and a few books) all of its own, I figured this was a good place to mention it's discovery as a dye was probably through being used as a healing plant. It is said that the leaves have been used as a poultice, a topical application for wounds and skin problems.